It's True! First Look Approval really has lowered its rates! With more approvals, more lenders, and now lower rates; there is no better time than now to enroll into one of our financing programs! 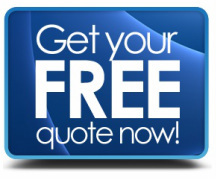 Simply fill out the contact form below and we'll have a quote to you within 24 hours. Since we know cost isnt everything, we'll additionally give you access to our back office support center so you can see the type of support First Look Approval offers. This will give you a chance to see why our clients are saying we're "Refreshingly Different."